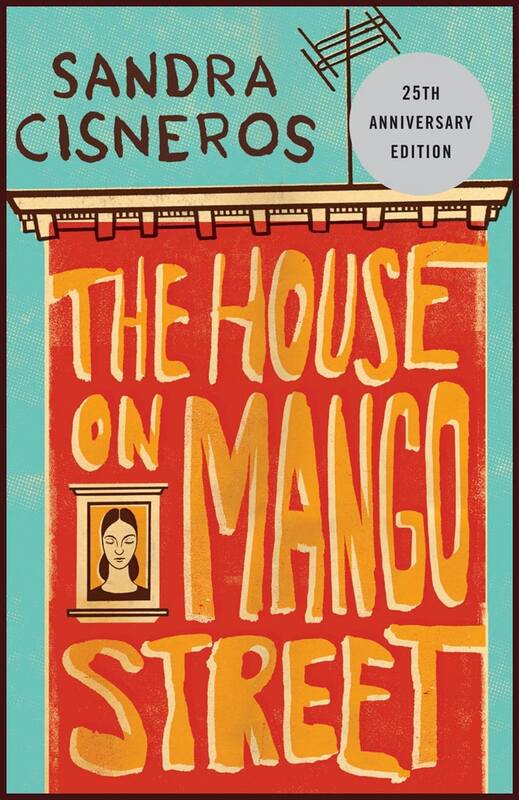 When I was growing up, the only people I knew that ate granola were hippies and our neighbors from California (who incidentally also had the only vegetable garden in the neighborhood, took vitamins, shopped at a health food store, and made brownies and pancakes from scratch…how weird is that?). The rest of us ate Lucky Charms with day-glow marshmallows, Captain Crunch (I especially liked the kind with crunch berries), Frosted Flakes, Kix, Cheerios, and for a healthy choice: Shredded Wheat. The cereal aisle in the local Grand Union was filled with boxes of sugar-coated flakes and my childhood home had a cereal cabinet that was dedicated to storing 15 of the most unhealthy cereals known to mankind. That was in the 1960’s and 1970’s and although supermarkets still devote an aisle to cereals, there are healthier choices available these days. Granola has grown in popularity and is readily available at almost any supermarket. No longer limited to “health food nuts,” granola is a widely popular cereal with as many variations a there are types of cereals. In a very general sense, granola is a breakfast or snack food that consists of oats, nuts, honey, and oil baked to give it a crunchy texture. Although the word “granola” sounds healthy, not all granolas are healthy. By sheer design, granola is a high calorie and often a high fat cereal primarily because of the abundance of nuts in the blend. Nuts are high in unsaturated fat, which increases the levels of good cholesterol (HDL) as compared to saturated fat that increases the levels of bad cholesterol (LDL) and clogs the arteries. 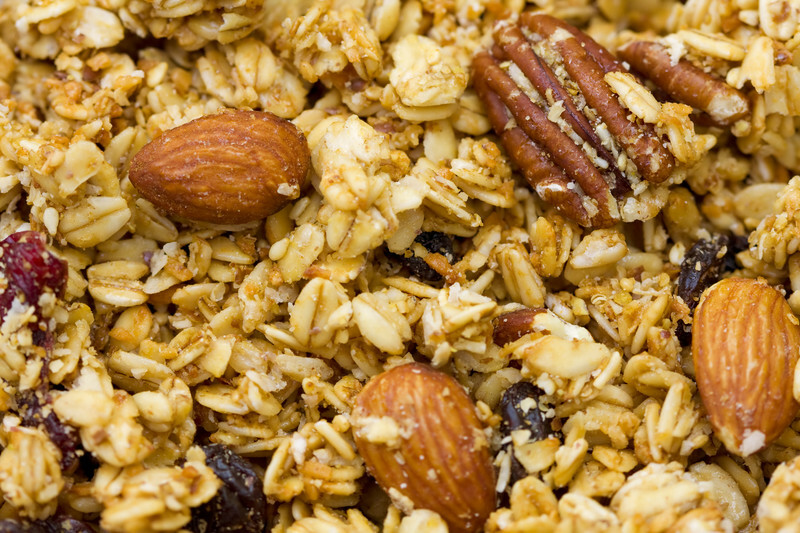 High fat doesn’t make granola necessarily bad; pay attention to portion size and read labels. Whole grain or rolled oats should be the primary ingredient in granola. Avoid granolas with sugar listed as the first or second ingredient and determine the type of oil (safflower, sunflower, or canola are preferred) used to bind the cereal together. Look at the fat content and make sure the saturated fat levels are low and the trans fat levels non-existent. I like my granola full of nuts and oats and not too sweet. One of my favorite prepared granolas is “Adirondack Crunchy Granola” made by a small company called “Well Dressed Foods” (welldresssedfoods.com) in Tupper Lake, New York. Adirondack Crunchy Granola has seven ingredients: oats, pecans, almonds, coconut, dried cranberries, canola oil, and honey. 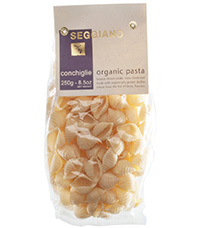 Notice the oil and sweetener – canola oil and honey – are the last ingredients on the list. 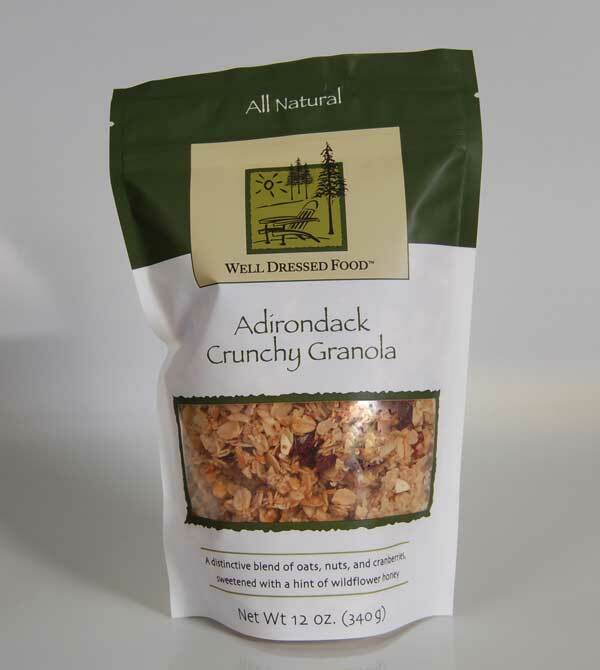 Adirondack Crunchy Granola is absolutely delicious and the whole family loves it. Each 12 ounce bags retails for $6.95 but if you are a member of the Adirondack Museum, you can order the granola from the museum on-line: www.adkmuseum.org and get 20% off your purchase plus free shipping thereby bringing the cost to about $5.55 per bag. It’s a deal. I order a half dozen bags at a time as my husband who travels often, always puts a bag in his suitcase to eat on the road. Last year, I was inspired by the ingredient list of Adirondack Crunchy Granola to make my own granola and after many hours of reading recipes, baking batches, and tasting my creations, I came up with a recipe that satisfies my love of oats and nuts and aversion to overly sweet breakfast granolas. This granola is easy to make but takes time primarily because the oats and nuts need to be baked at a low temperature before being blended with honey and oil. The pre-baking ensures a crunchy texture to your cereal so don’t skip this step. I like to make granola on a rainy date or a day when I have to be home for a few hours. Spread the oats evenly on one side of a sheet pan that has a 1/2–1-inch border (this prevents the oats and nuts from falling off the pan when the mixture is stirred). Spread the pecans, walnuts, and almonds on the other side of the sheet pan. Place the pan in the oven and bake for 45 minutes, stirring half way though the baking time. Allow the oats and nuts to cool. Pour the coconut on a separate sheet pan and place in the oven. Bake the coconut until it turns a very light brown, about 20-30 minutes, stirring occasionally. Remove the coconut and let cool. When the nuts are cool, break the pecans and walnuts into pieces and blend with the oats. Add the coconut to the oat and nut mixture and blend with a spoon. Sprinkle the cinnamon over the mixture and blend to disburse the cinnamon. Meanwhile, melt the honey if in solid form and then slowly pour the honey over the mixture. Use a spoon to gently blend the honey throughout the mixture. Pour the oil over the mixture and gently stir to disburse the oil. Place the pan back in the oven and bake for 1 hour. Allow to cool for 5 minutes and then stir the granola gently to prevent it from sticking to the pan as it cools. When completely cool, place the granola in an air tight container. Before serving, add dried cranberries, raisins, dates, or any dried fruit of your choice.